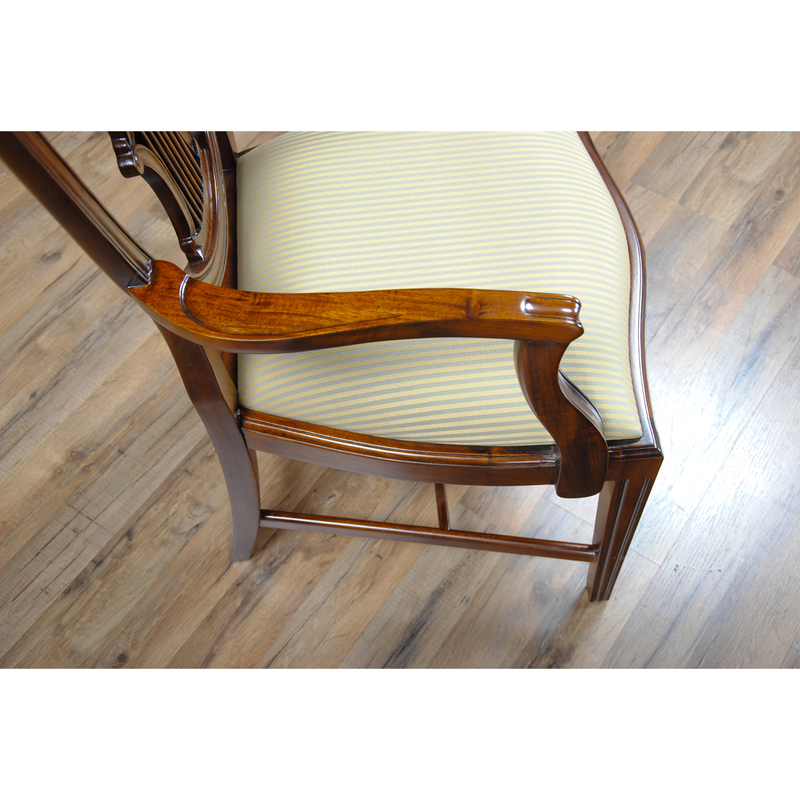 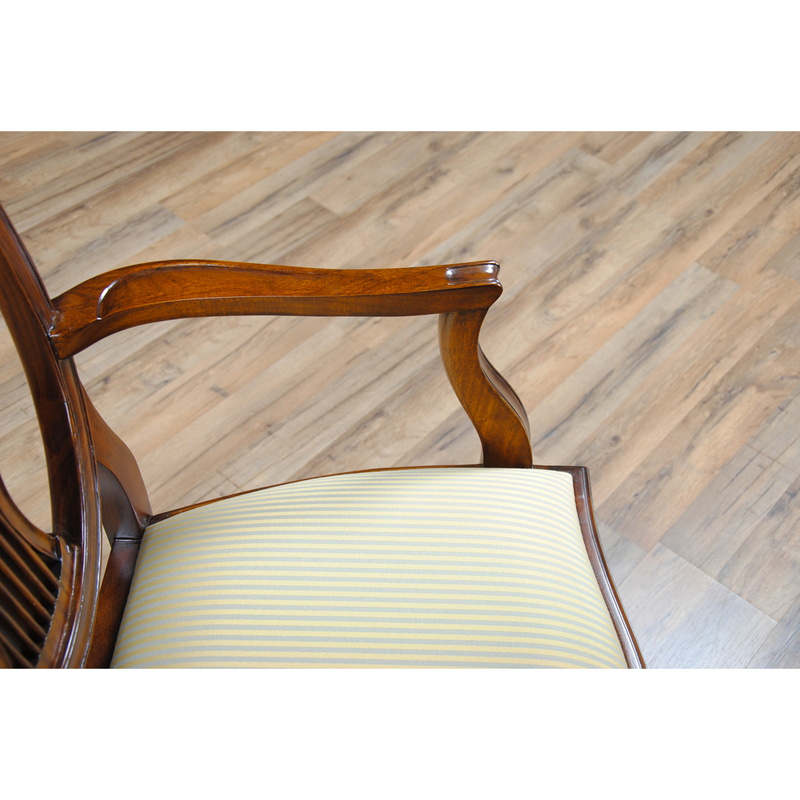 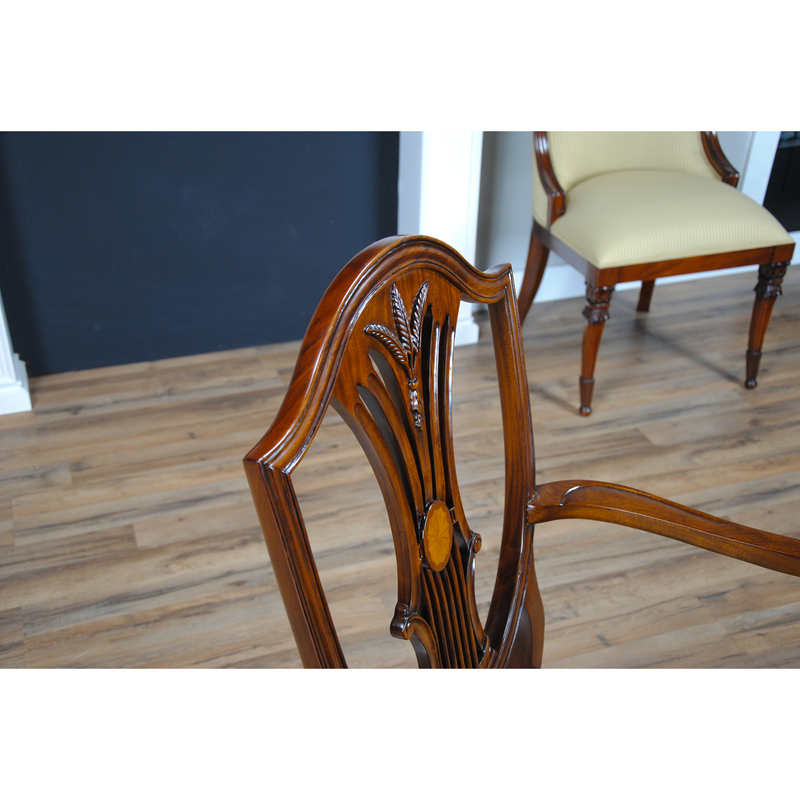 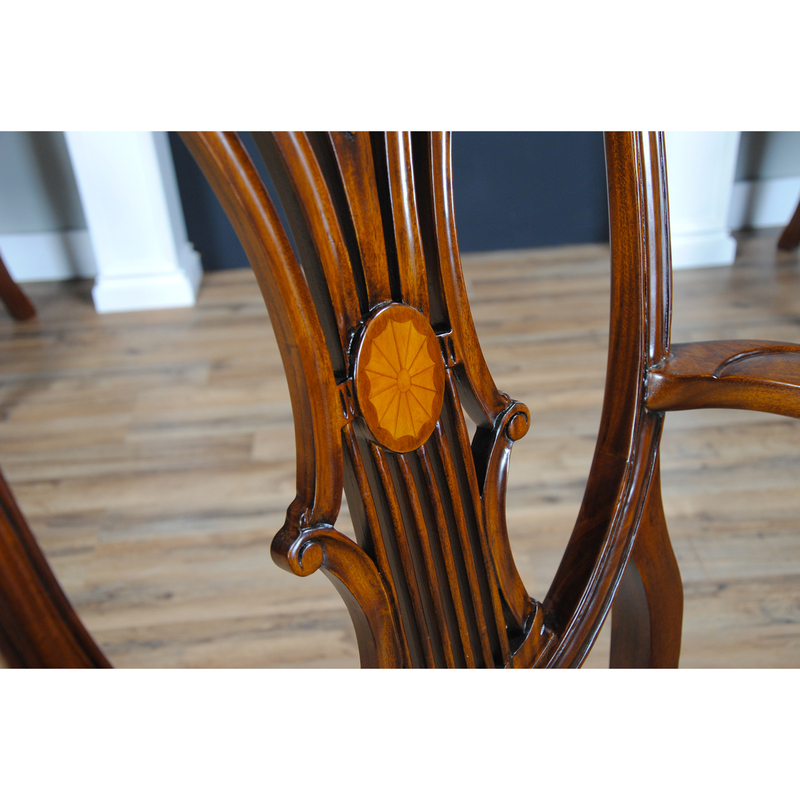 This set of 10 Inlaid Shield Back Chairs by Niagara Furniture features 2 arm chairs and 8 side chairs. 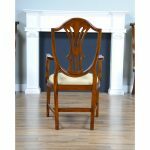 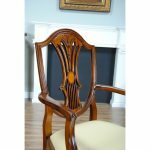 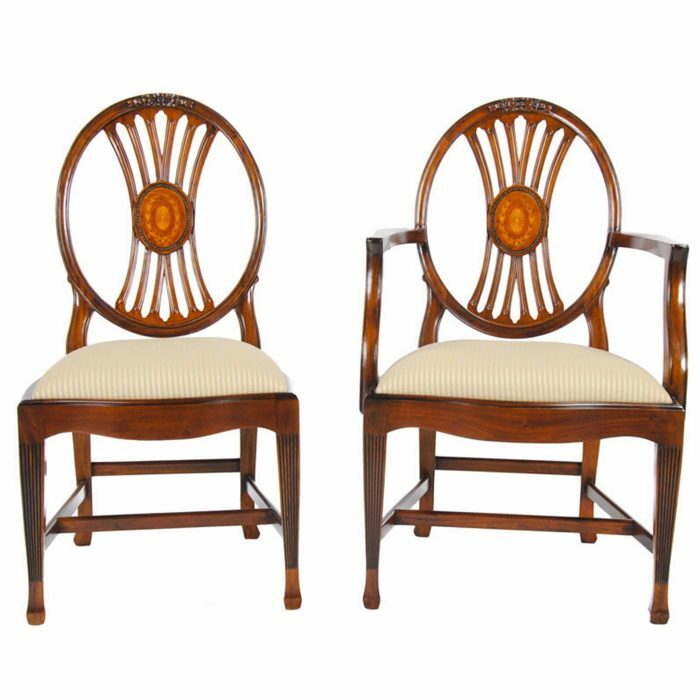 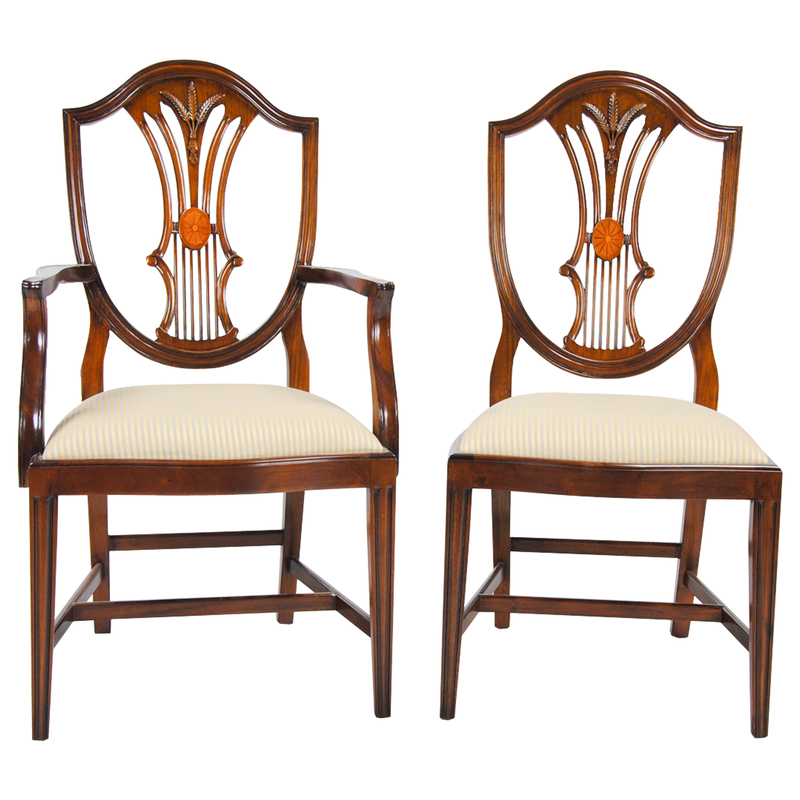 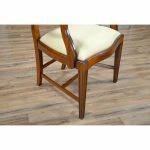 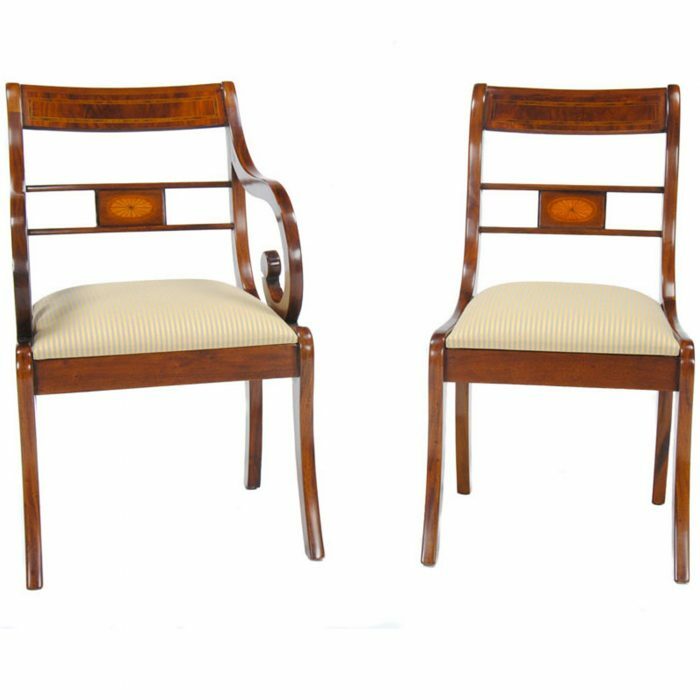 These shield back chairs are taller than many traditional shield back design chairs allowing the homeowner to see the beautiful workmanship in the chair backs even when the chairs are close to the table. 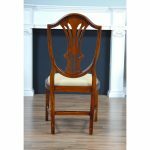 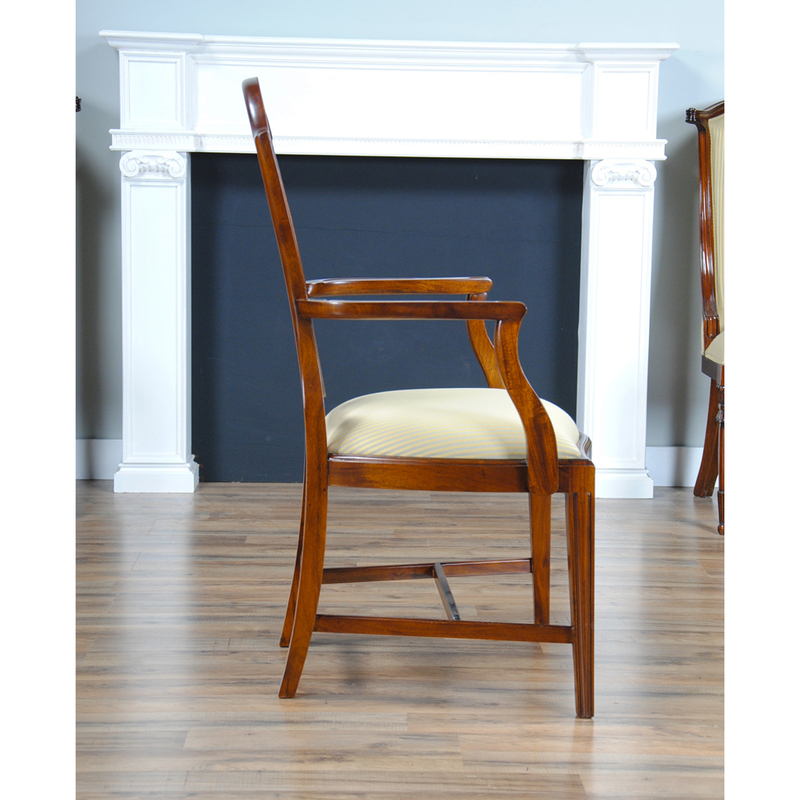 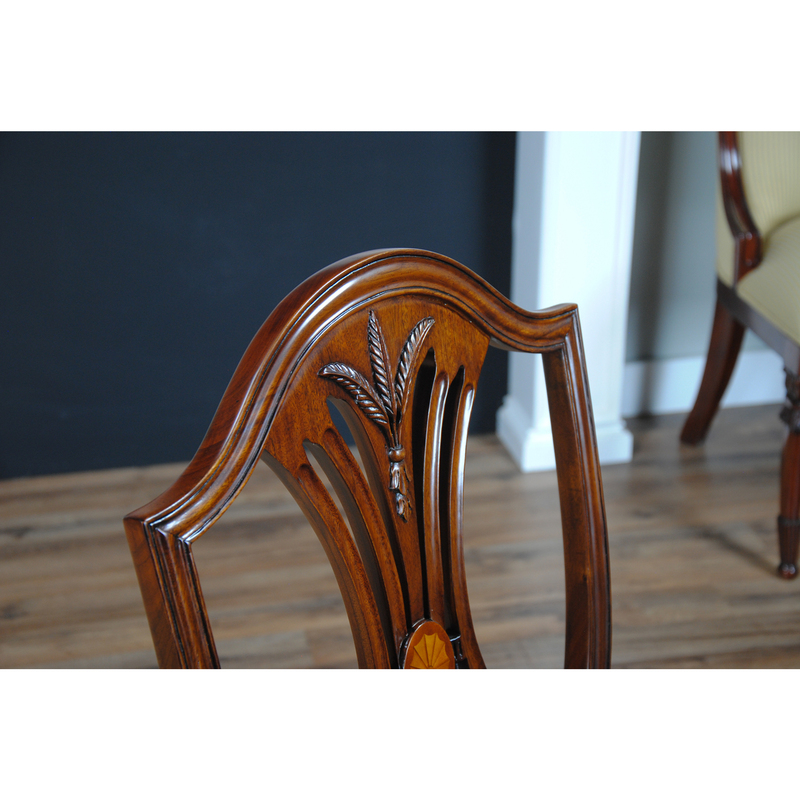 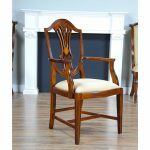 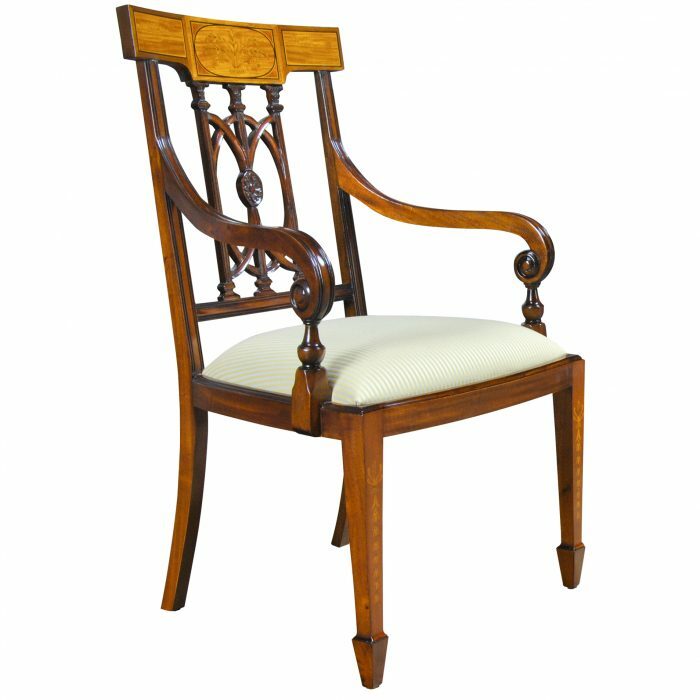 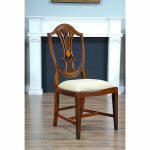 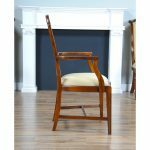 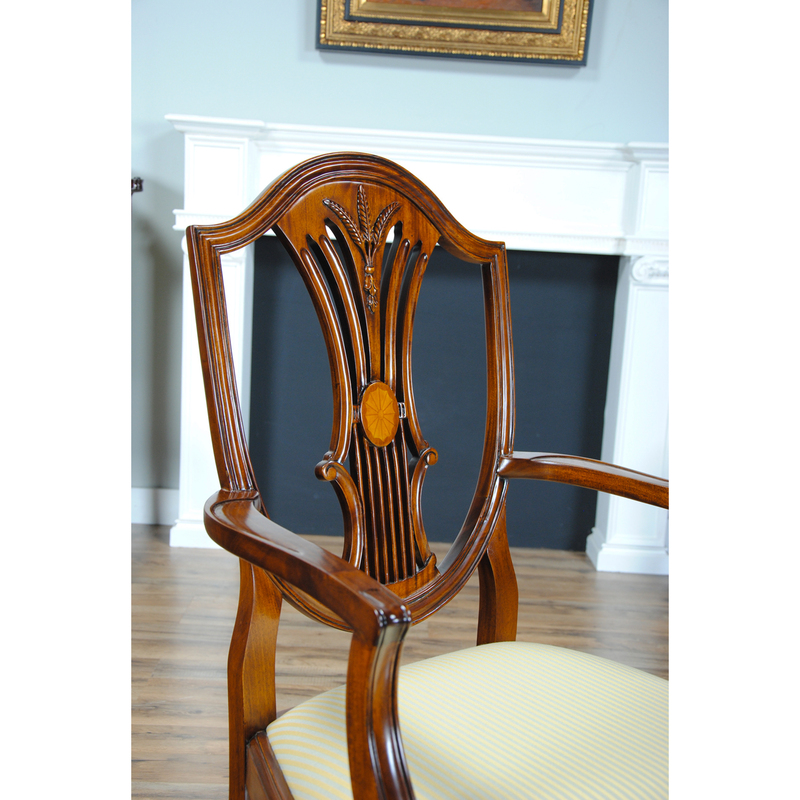 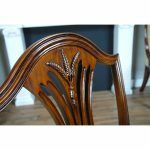 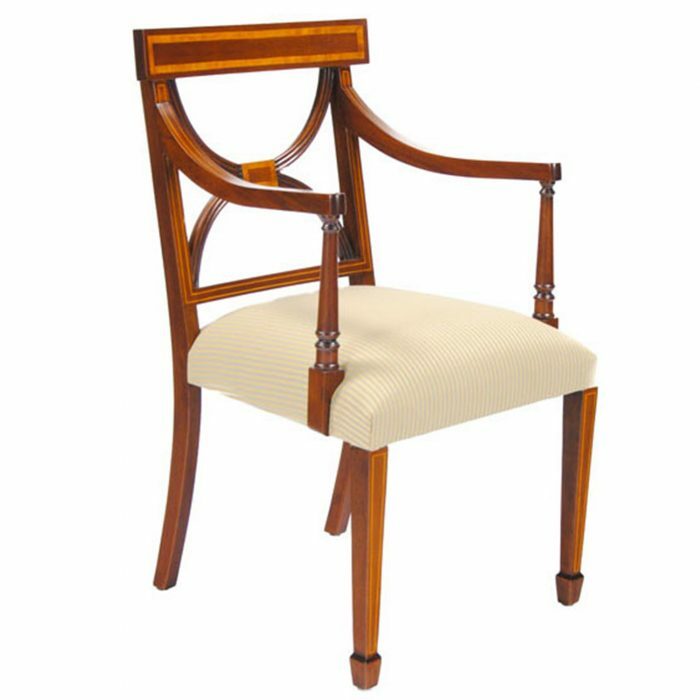 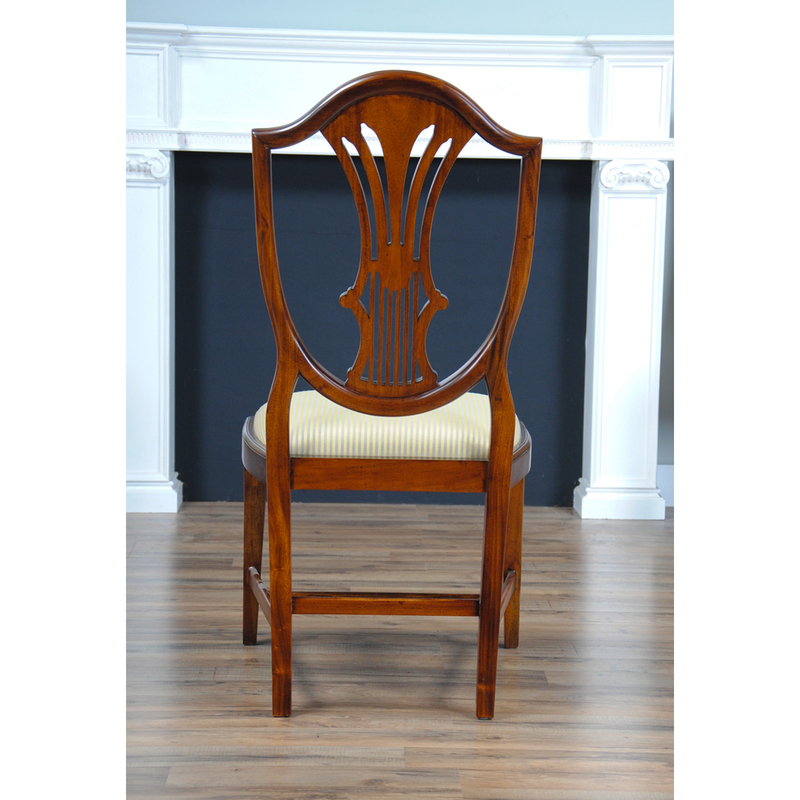 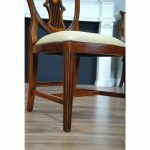 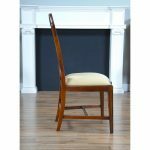 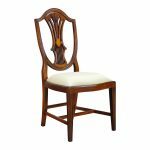 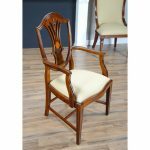 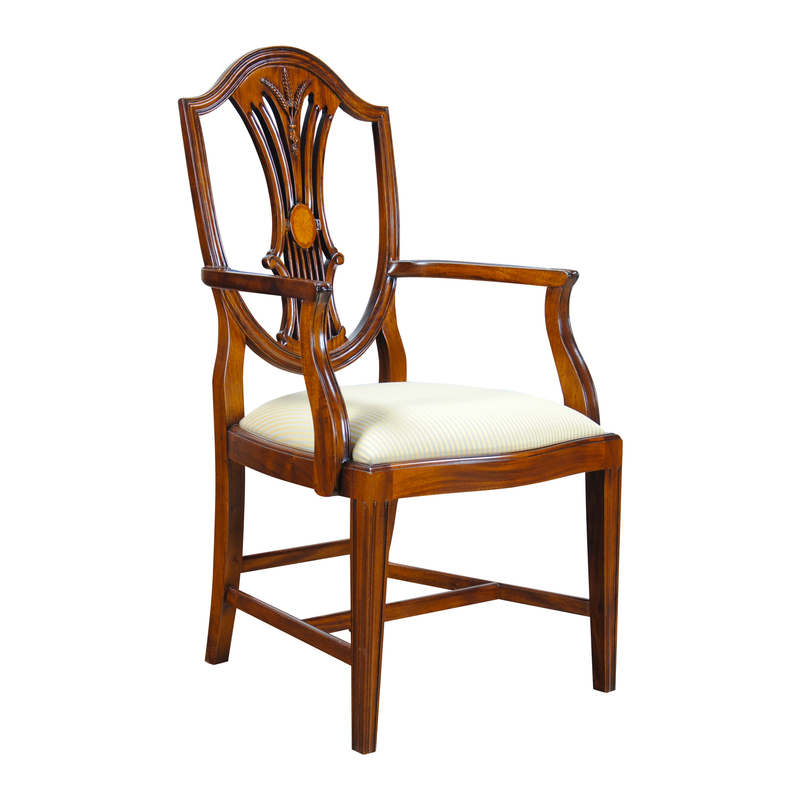 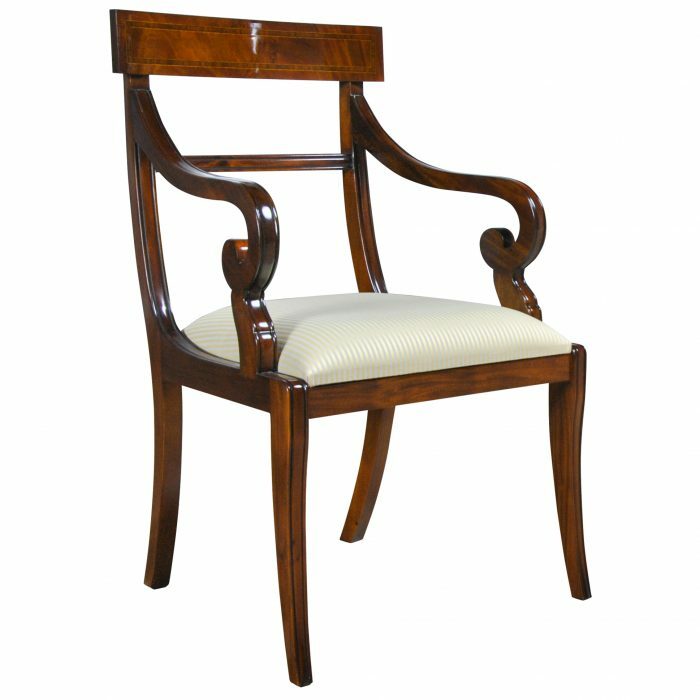 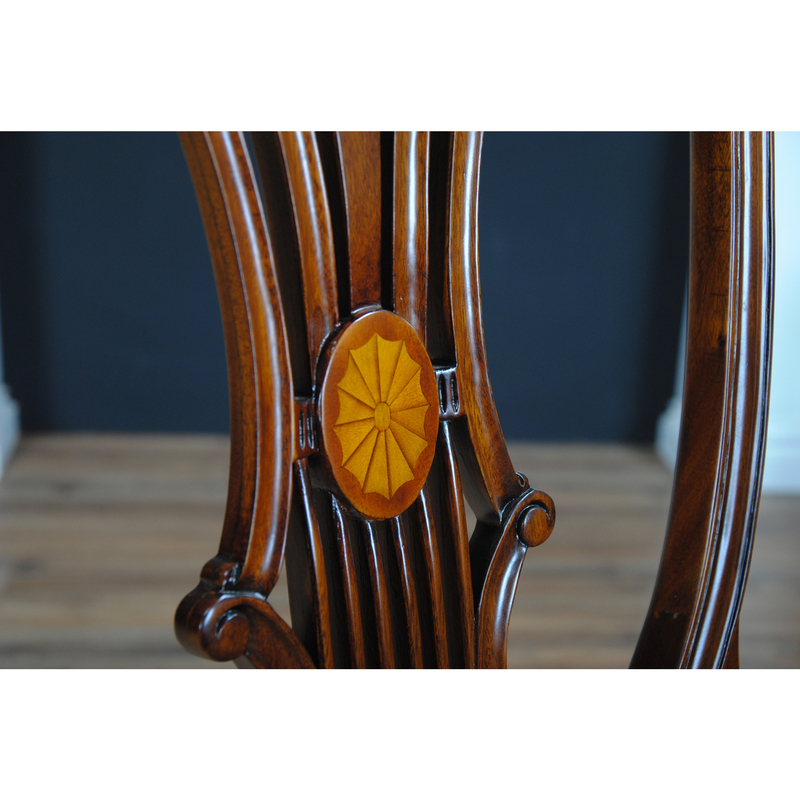 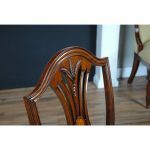 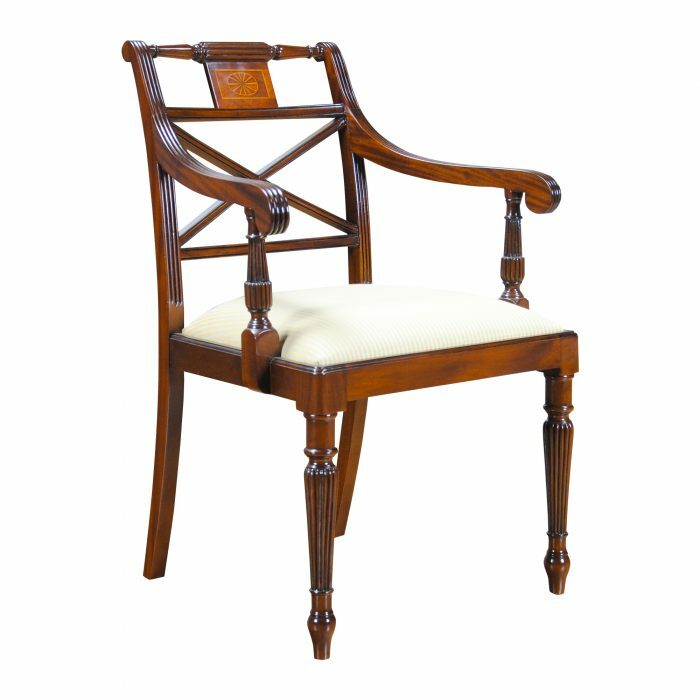 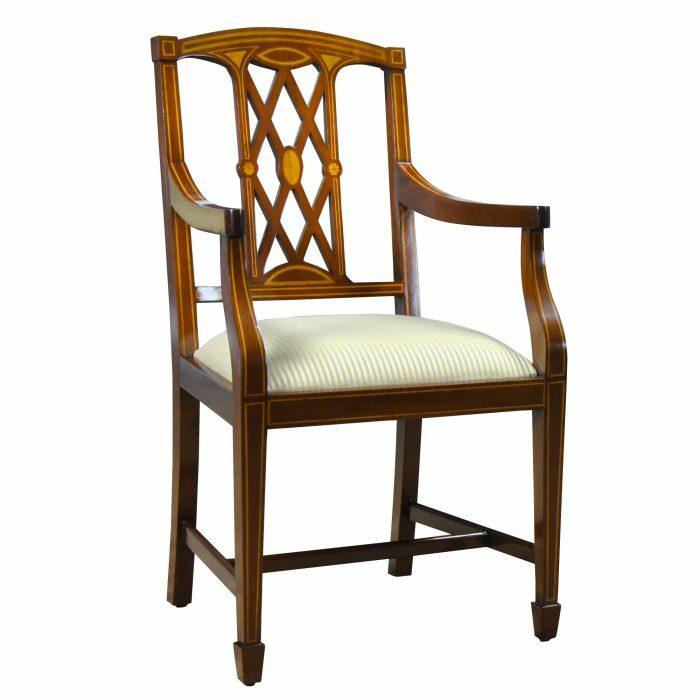 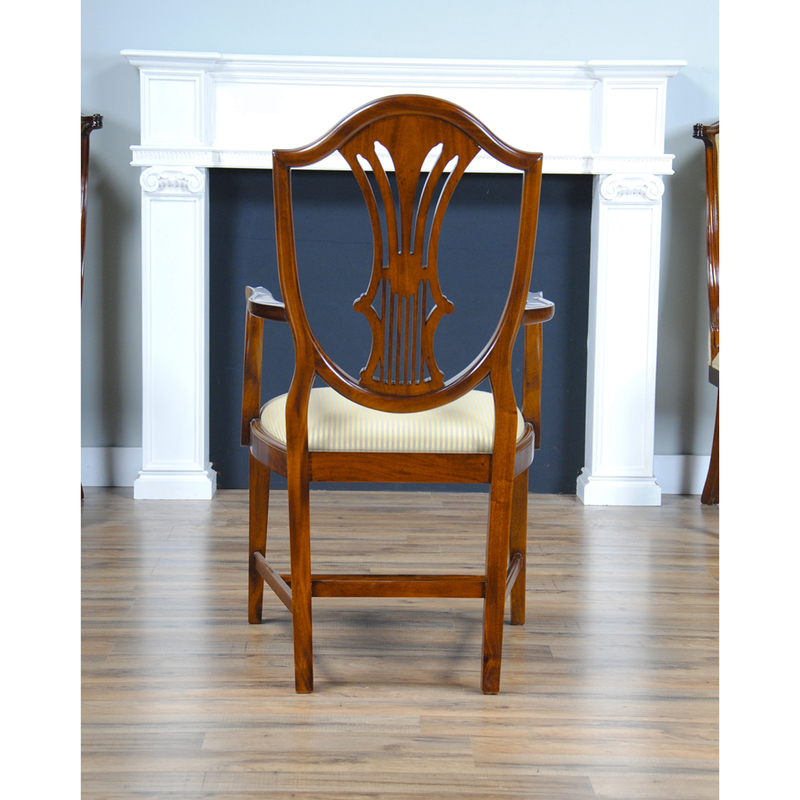 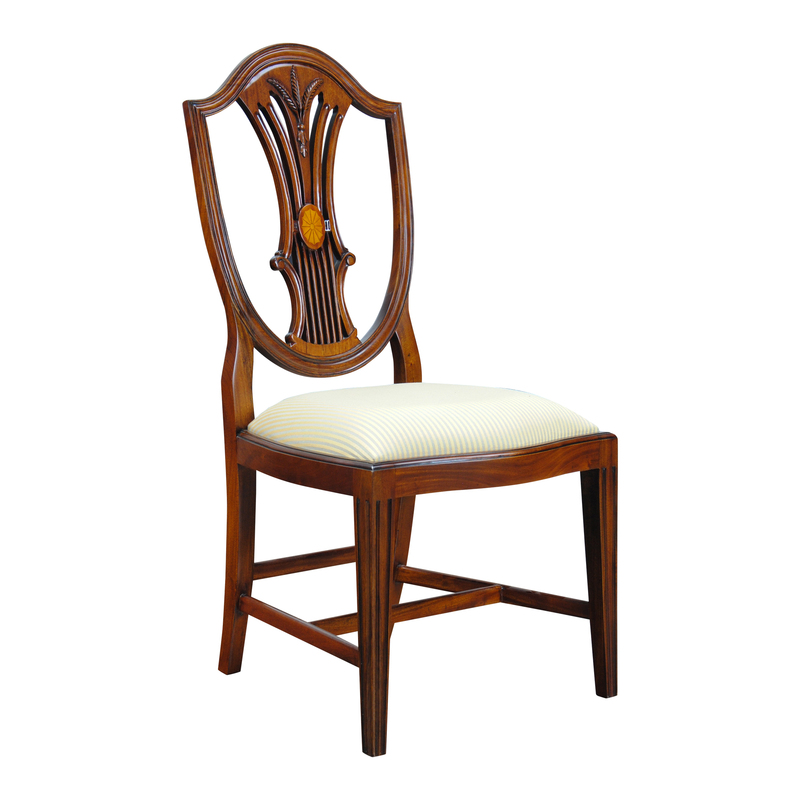 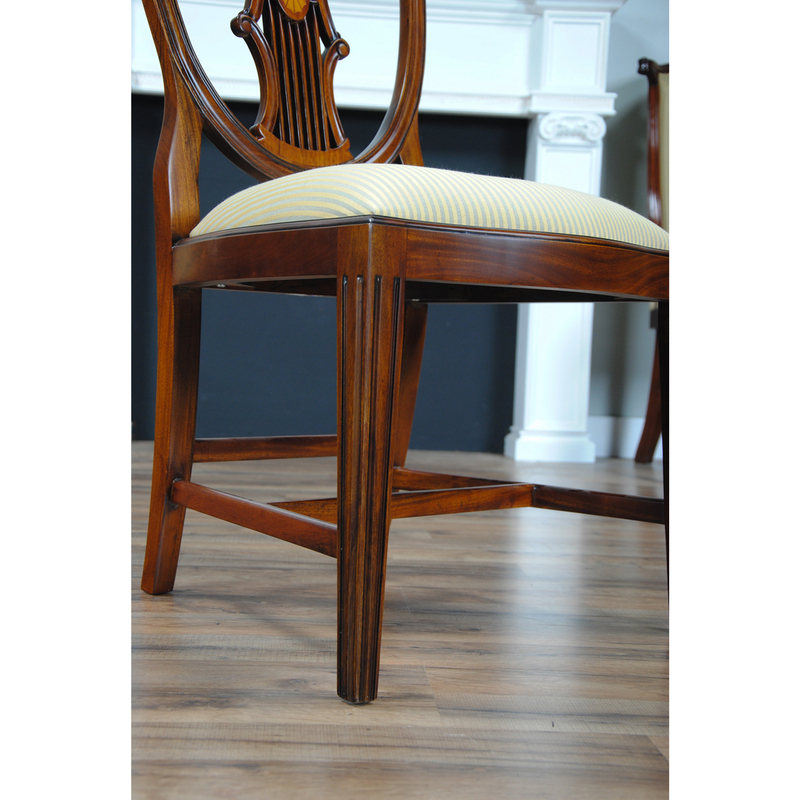 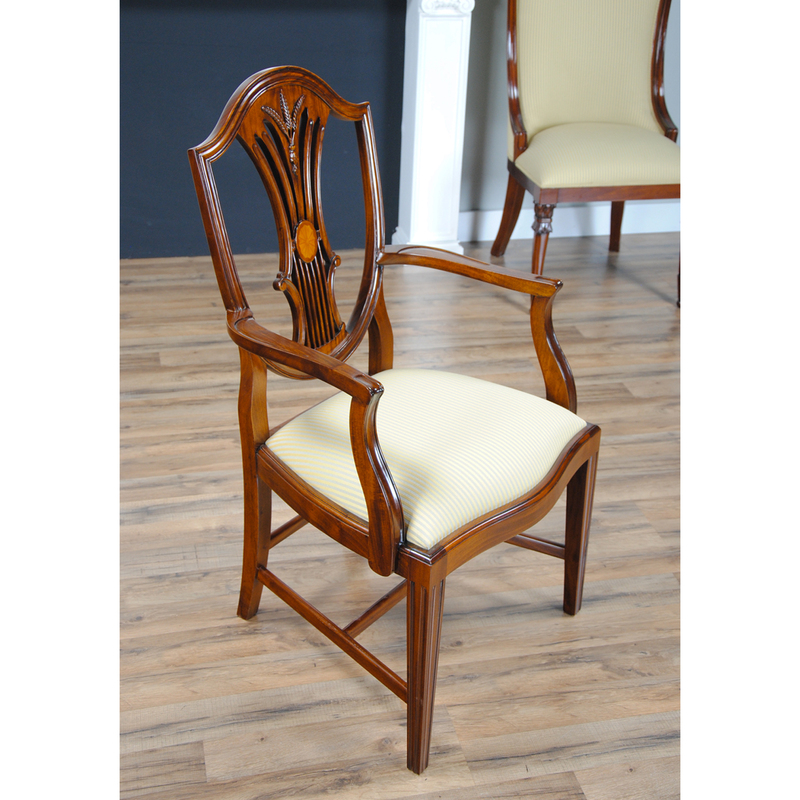 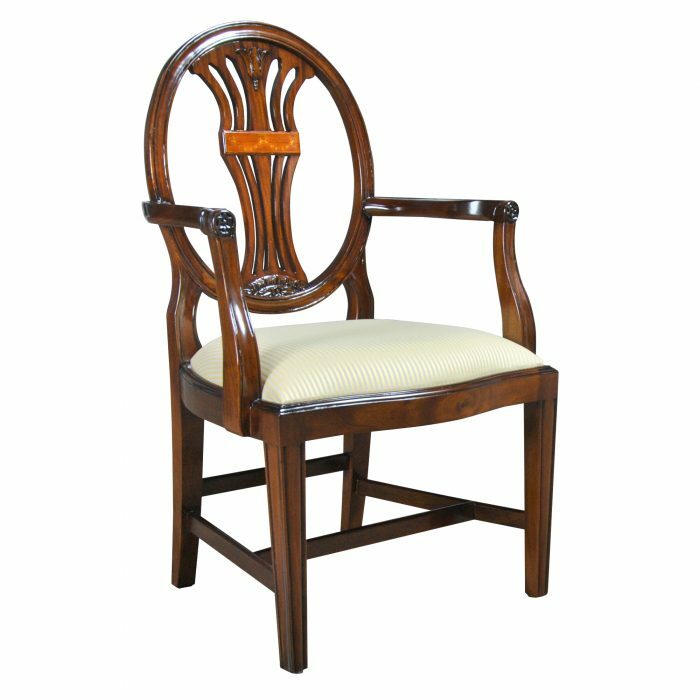 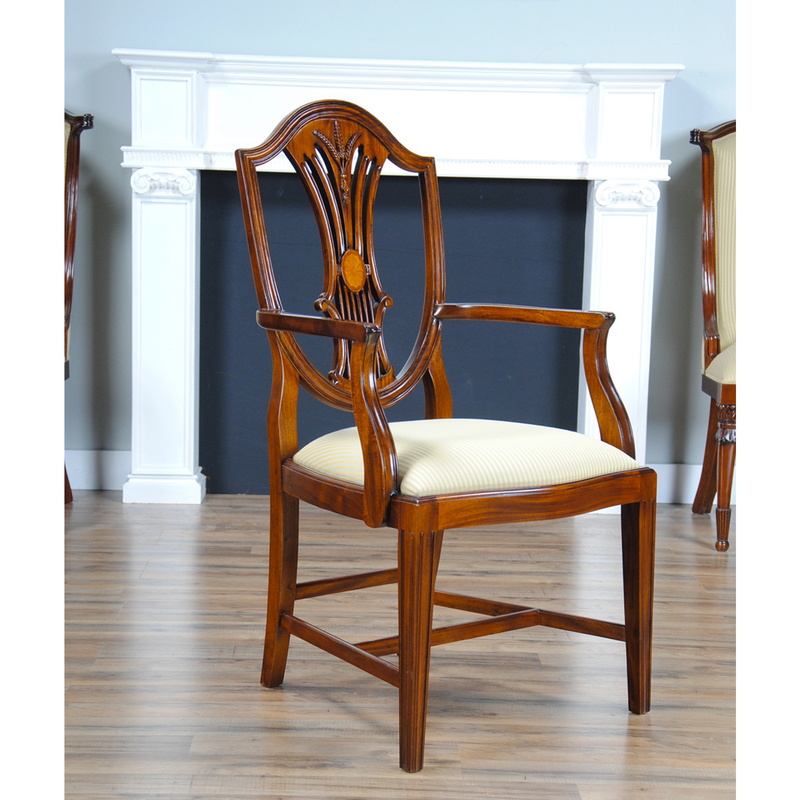 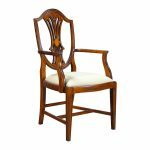 A sweeping crest rail, wheat sheaf carving at the top of the back splat, hand inlaid oval motif midway down the back splat as well as simple, classic design elements in the remainder of the chair. 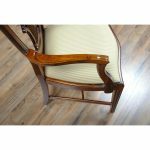 A drop in seat makes fabric changes simple while the H stretcher connects the front and back legs making the chair extra sturdy and durable.